In 1939, Georgia O'Keeffe, who was among the most famous artists in the United States, accepted a commission from the Hawaiian Pineapple Company to produce two paintings for advertising campaigns. Her nine-week trip to Hawai'i resulted in more than 20 paintings, which reveal that O'Keeffe--most commonly associated with the stark deserts of New Mexico--was profoundly inspired by what she saw and experienced on the lush, tropical Hawaiian Islands. 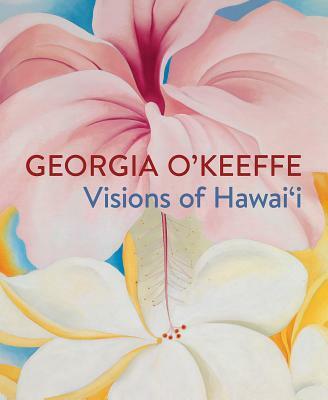 The exhibition Georgia O'Keeffe: Visions of Hawai'i, and this accompanying volume, explores this little-known chapter in the artist's career. Glowing with color, these paintings demonstrate O'Keeffe's unique ability to make any place her own. This landmark volume offers a unique perspective by foregrounding the ecological complexity that is hidden behind O'Keeffe's depictions of Hawai'i-one of the most biologically diverse places on Earth. Published in association with The New York Botanical Garden. With contributions by Brian M. Boom, DeSoto Brown, Otto Degener and Isa Degener, Samuel M. 'Ohukani'ohi'a Gon III, and Alicia Inez Guzmán. THERESA PAPANIKOLAS is Deputy Director of Art and Programs and Curator of European and American Art at the Honolulu Museum of Art. Joanna L. Groarke is Director of Public Engagement and Library Exhibitions Curator at The New York Botanical Garden.